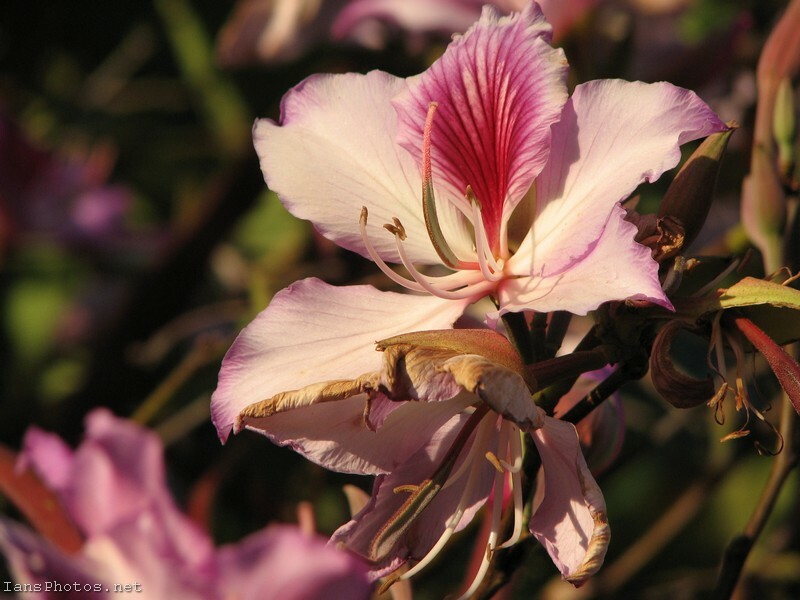 Orchid Flower (Orchid Tree) In Florida there are several trees that you can see blooming during the year. Also referred to as a Hongkong Orchid. There are trees with white orchid flowers as well. Orchid trees grow big and can drop a lot of leaves, but if you enjoy flowers they are worth it. They also produce seed pods that you can grow new trees from.